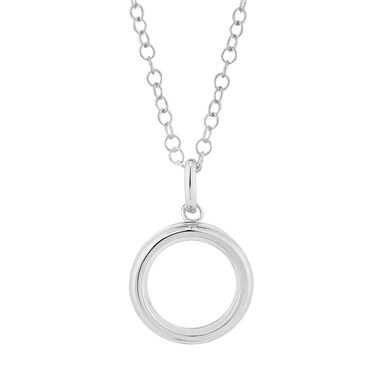 Create your own Storie with this stunning small silver locket. A truely personal piece of jewellery that allows you to add treasures that represent each passing chapter of your life. Fill yours with birthstones, letters and symbols and wear close to your heart. Try layering with a larger Storie necklace on the same chain for a chic stacked look. I love this locket, i opted for the small one as i knew exactly which 4 charms i wanted in it and assumed it would be big enough, i actually have 7 charms in it. I have had loads of comments when wearing it and my dad got my mum one as she loved it so much though she had the larger one. Personally i think it is worth the money but i guess that depends on the charms you have in it and why. How many charms do the keepsake lockets hold ?